The final pay-per-view of 2017 for WWE is setting up some interesting things for the Royal Rumble and perhaps beyond. Rumors are once again rampant that Daniel Bryan could be involved in a match at Wrestlemania, this time against Shane McMahon. With both men being the special referees in an important tag match pitting Shinsuke Nakamura and Randy Orton against Kevin Owens and Sami Zayn something may come to a head in that one. Beyond that, there are four championship matches on the show too. The Tag Team Championship is on the line in a Fatal 4 Way Match. 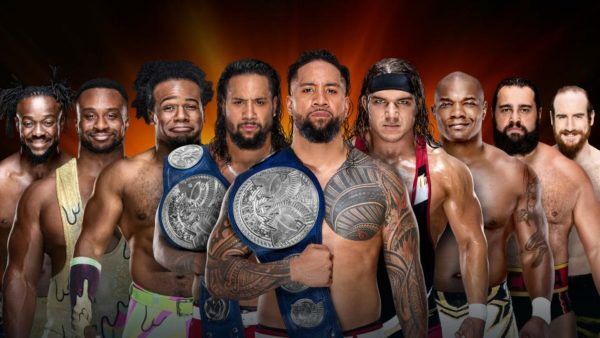 The Usos defend against Chad Gable & Shelton Benjamin, Rusev & Aiden English and New Day. 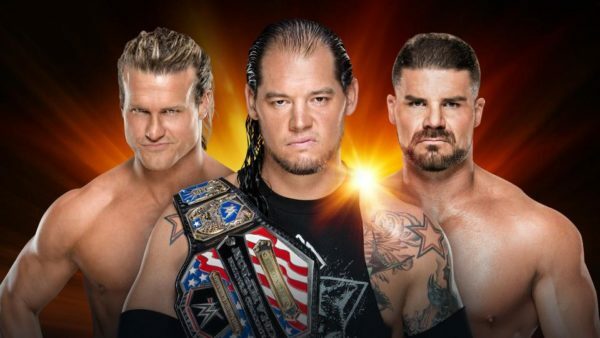 A Triple Threat match sees Baron Corbin defending the United States Championship against Bobby Roode and Dolph Ziggler. 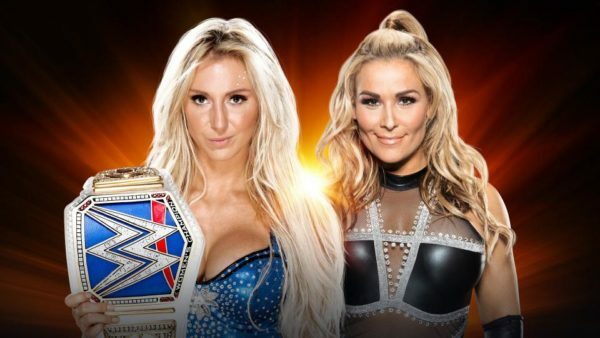 Charlotte Flair once again takes on Natalya for the Women’s Championship. 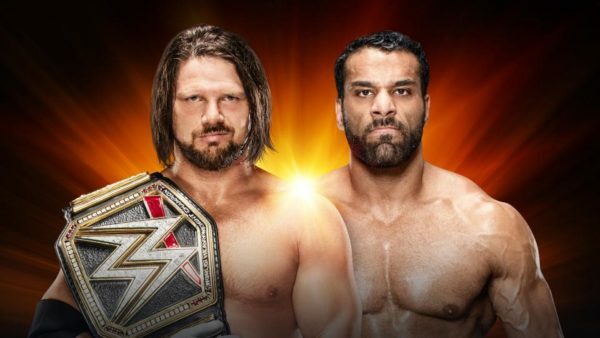 While AJ Styles defends the WWE Championship against Jinder Mahal too. 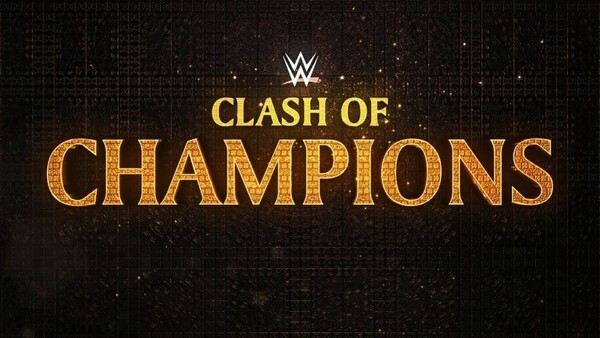 This is the W2Mnet WWE Clash of Champions 2017 Preview & Predictions. Other Staff Member Predictions: Everyone else also picked: Mojo Rawley. Other Staff Member Predictions: Everyone else also picked: Bludgeon Brothers. Other Staff Member Predictions: Paul & Sean: Bobby Roode. Liz & Patrick: Baron Corbin. For some reason this has turned into yet another Fatal Four way match. However, unlike the usual version of these tag matches, where anyone could tag in anyone else, there is a new stipulation that you can only tag in our own partner. This makes things, well, I’d like to say more interesting. However, I highly doubt that. In some respects it might. Will we see teams work together to keep one member away from the only man who can help him? Who knows. Other Staff Member Predictions: Sean: Gable & Benjamin. Harry, Paul & Patrick: Usos. I have no issue with this match happening. Three of the best on Smackdown involved here and when Orton is motivated, four of the best. The stipulation added to this match is the main problem. It completely foreshadows the end result. There is no chance they are going to take Kevin and Sami off a blue brand already relatively low in star power. Shane and Bryan as referees, only add to what should be the train wreck nature of this match. Especially, since you’ll have to think at least one or both get directly involved in the finish. Other Staff Member Predictions: Everyone else also picked: Owens & Zayn. This has been sort of interesting. While I’m pretty much over Charlotte and Natty facing each other by this point. The whole idea of working the entire division into a overarching feud with The Riott Squad makes sense. However, these matches are usually not all that great. And I’m 100% sure that this won’t be about Natty, Charlotte, or the championship really. Other Staff Member Predictions: Everyone else also picked: Charlotte Flair. Harry: thinks Carmella cashes in on Charlotte after the match ends. Other Staff Member Predictions: Everyone else also picked: AJ Styles. Well, this concludes the WWE Clash of Champions 2017 Preview. Leave your predictions in the comments below. Also, check out Gary Vaughan, Sean and Paul giving their predictions on-air, on the Wrestling 2 the MAX Podcast.